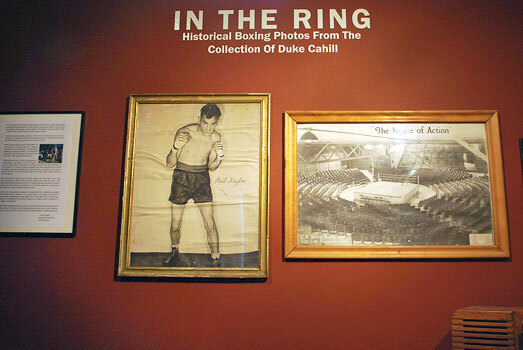 In the Ring is an unusual gallery exhibit featuring historical boxing photographs from the collection of the late Duke Cahill. 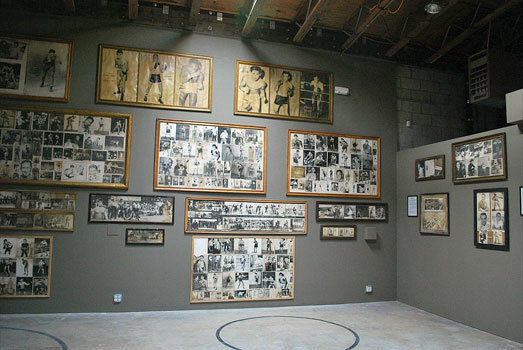 Old film footage from legendary bouts and installations produced by the Studio Quercus crew complement the Cahill photos. Boxing is not a subject frequently celebrated in the art world, but the Cahill collection presented a unique opportunity. Cahill (1920-2003), a boxer and a celebrated folk artist, bridged the two worlds. He was a colorful character who fought as a light heavyweight, traveled the South Pacific as a merchant marine, became a restaurateur, and ran his own construction company. 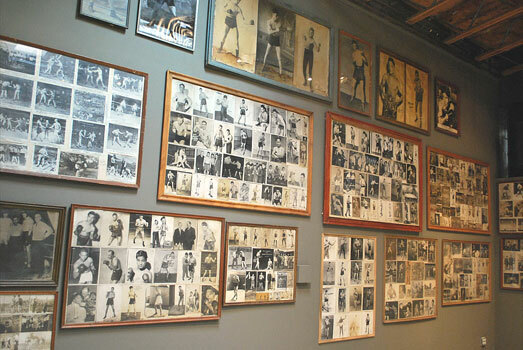 The collection of photos, from the first half of the 20th century, was begun by Fred Lazzari, a fight promoter based in Sacramento and a close associate of Cahill’s. When Lazzari gave the collection to Cahill they went up on the walls of Cahill’s succession of restaurants - the Dog House Grill, Big M, and the Circus Tent in Sacramento, and the General Store Bar & Restaurant, in Elk Grove, CA. Some of the photos are studio portraits, some document action in the ring, and others are casual snapshots of boxers and friends mugging for thecamera. Joe Louis, Jake LaMotta, Max Baer, and many other greats are represented, and many of the photos are signed with greetings to Lazzari and Cahill. The earliest shots feature bare-knuckled pugilists looking trim as greyhounds in antiquated sporting attire. Later shots include Max Schmeling landing a blow on Mickey Walker’s chin, and the compact Rocky Marciano grinning with the heavyweight title belt. The collection is intact and informally framed as they were when they were displayed in Cahill’s eating establishments. Many show wear and tear or discoloration that inevitably comes from being regularly exposed to tobacco smoke and from on occasion keeping rough company. It is a dense collection, capturing a time in the American sporting scene, and Studio Quercus has taking steps to preserve this effect.